Technology has always fueled economic growth, improved standards of living, and opened up avenues to new and better kinds of work. Recent advances in artificial intelligence and machine learning, which brought us Watson and self-driving cars, mark the beginning of a seismic shift in the world as we know it. To navigate the unstable labormarket and seize the plentiful opportunities offered by new technologies, we must find a way to more quickly adapt. By continually updating our skills and seeking alternative work arrangements, we can “race with the machines.” Whether we like it or not, change is coming, and the worst move of all would be to ignore it. Recent advances in artificial intelligence and machine learning, which brought us Watson and self-driving cars, mark the beginning of a seismic shift in the world as we know it. But major innovations (defined as widely-used technologies that improve over time and have spillover effects that provoke further advancements) have been around since the beginning of recorded history. From the first metal tools, to the wheel and the printing press, these innovations (dubbed general purpose technologies, or GPTs¹ ) have changed the course of history. GPTs “interrupt and accelerate the normal march of economic progress”.1 In other words, they make humans more productive and increase standards of living. They also help open avenues to new kinds of work. Even more fascinating, is that “Moore’s Law” ––which has driven so many changes in technological progress–– has held up amazingly well over the years. In 1965, Gordon Moore, who was then the director of research and development (R&D) at Fairchild Semiconductor, predicted that the overall processing power for computers (or the number of transistors in an integrated circuit) would double every year. This prediction became known as Moore’s Law. (Moore then revised the prediction in 1975 to every two years. He also later became the CEO of Intel.) While Moore originally made his prediction for a period of ten years, exponential increases in computing have continued even up to present day. What’s more, William Nordhaus has actually traced back Moore’s Law back to the earliest adding machines from circa 1850.4 The exponential growth of computing power makes it seem as though new technologies come out of nowhere; in reality, however, they’ve been around (albeit also very expensive and rare) for quite a while. In the past, only the rich could benefit from the latest innovations. Generally speaking, technology has increased the size of “economic surplus pie” and redistribute much of its consumers. Thus, it is important to remind ourselves that automation does not have a universal effect on employment; a machine can be either a substitute or a complement to human labor. A machine can substitute for human labor when it has the ability to produce more than the worker for the same cost (such as his or her wages), or as much as the worker for a fraction of the price. This is most likely to occur when a worker’s tasks are routine and codifiable—that is, when the instructions for the tasks can be translated into code for a computer to carry out. In addition, automation is more able to replace workers in simplified, controlled environments. While computers can perform the most complex calculations in milliseconds, it is much more difficult to get a machine to write novels or care for children as effectively as humans do. Machines complement labor when they allow workers to be more productive, but cannot—at least cannot fully—replace the worker. In other words, automation that complements human labor makes it easier for people to do their jobs and concentrate on what humans excel in, such as idea generation, problem solving, pattern recognition, and complex communication—all of which constitute computers’ weaknesses.16 For example: calculators, spreadsheets, and bookkeeping software all made accountants’ jobs much simpler. For the most part, however, humans are still the ones making insights and providing strategic advice to the businesses they work at. Various kinds of automation already complement human labor (e.i., big data-collecting robots that allow people to do more valuable work ––and telescopes, which have helped humans make discoveries that would have otherwise been impossible). Tom Davenport and Julia Kirby refer to this “mutually-empowering” relationship between humans and machines as augmentation, which they distinguish from the process of automation, which simply substitutes for labor.17 Additionally, as David Autor points out, because machines increase labor productivity and lower production costs, they allow us to more easily create goods and services. 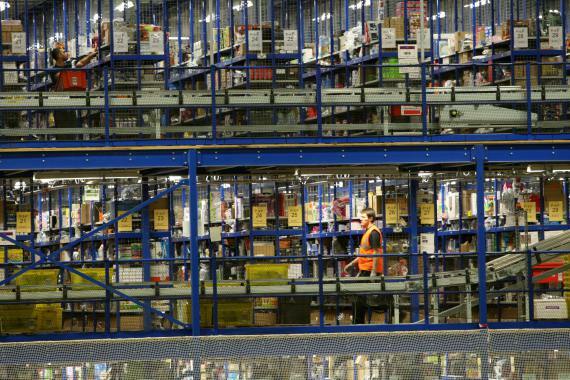 Workers sorting Christmas presents at the Amazon warehouse in Milton Keynes, Bucks. Take, for example, a coal worker with a high school education in West Virginia who used to earn an annual salary of $80,000, but was recently laid off because more sophisticated technologies were deployed in mines. It is unlikely that such a job will make a comeback ––at least in West Virginia. Will this worker want to work for less than one-third his previous wage as a cashier? Suppose, instead, this miner stops looking for work because he is tired of finding nothing available and becomes increasingly unmotivated. This discouraged worker doesn’t get factored into the unemployment rate, since, technically speaking, he is no longer a part of the labor force ––despite how much he would actually want to work, if only he could have his old job back. The airline industry is an interesting example of automation. 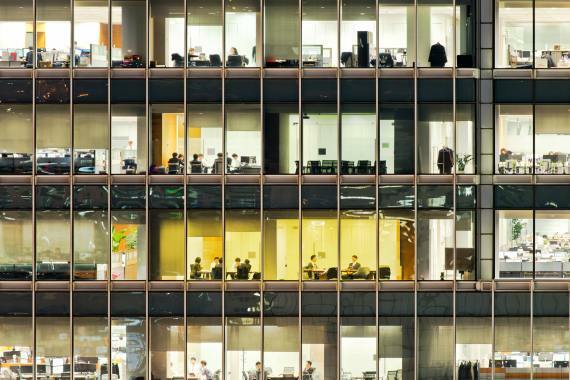 The majority of people benefit from its advancements, but a growing number of employees simultaneously suffer painful job losses. Now consider the future of a much larger group of workers: once self-driving cars are deployed more widely, many of the 3.5 million truck drivers in the United States could lose their jobs.25 Some long-haul truck drivers make as much as $150,000 per year.26 As is the concern with coal miners, will these drivers find jobs with similar salaries if they do not have more than a high-school education? there have been in the last seventeen years —which is when the BLS first began to measure them. 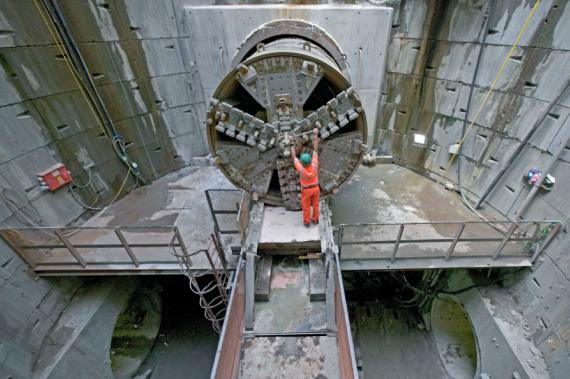 Engineer inspecting a tunnel boring machine which has completed the excavation of a deep access power cable tunnel in London. 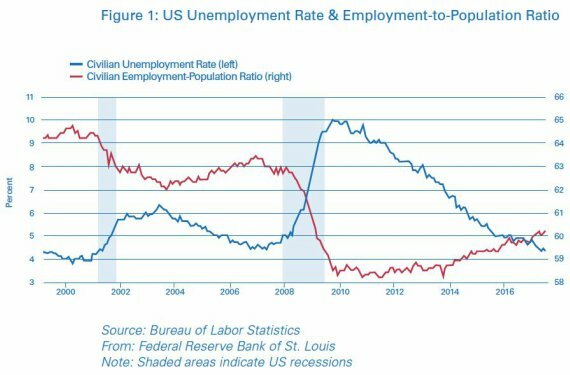 On the aggregate level, the situation doesn’t look so bad: If there are 6.1 million jobs available, then 6.1 million out of the 8.4 million people looking for work (unemployed and marginally attached to the workforce) no longer have to be out of work. In reality, however, it’s much more difficult than that. People are not being matched to jobs for various reasons—because they are not qualified enough (or overqualified), or are in fields (and physical locations) where jobs are disappearing. The macro-picture misses the micro-stories. So, even as labor productivity has increased—an effect usually accompanied by job growth—private employment has essentially remained stagnate since 2000.35 (See Figure 2.) 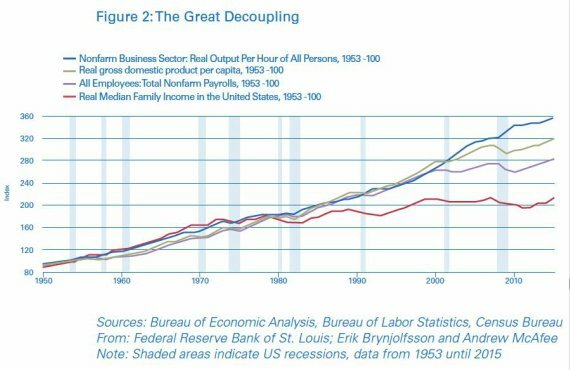 (Real median family income and real GDP per capita also “decoupled” from labor productivity in the early 1980s and the 2000s, respectively.) Brynjolfsson and McAfee call this effect the ‘Great Decoupling’, and attribute a portion of these effects to the emergence of digital technologies.36 They don’t see these gaps closing anytime soon. Because jobs are no longer as stable as they have been, people have been turning to the “gig economy” to seek alternate forms of work. Thanks to two-sided platforms such as Uber, Lyft, Airbnb, Etsy, Samasource, Postmates, and TaskRabbit, people can now work whenever they want, as often as they’d like, more easily than ever. This benefits people young and old who do low-skill to high-skill work. Former taxi drivers can now dictate their own schedules with Uber and Lyft. Stay-at-home parents and people with disabilities are able to more easily find work and develop their skills with Samasource. Young artists can now sell their self-made products directly to their customers on Etsy. Elderly empty-nesters now have the ability to rent out their rooms on Airbnb to help give a boost to their own retirement funds. Freelance designers and coders also have the opportunity to contract out their work and take time off for their families and for vacations whenever they wish. On the low side of the skill spectrum, the demand for jobs ( i.e. : milkmen, switchboard operators, mail-sorters, dishwashers, ice-cutters, weavers, and assembly line workers) has fallen drastically ––or even disappeared–– because of technologies such as refrigerators, cell phones, and industrial machines. Although the invention of these technologies has driven out jobs, it’s also allowed us to make certain forms of work more bearable. For example, by investing in industrial dishwashing machines, restaurants don’t require as many human dishwashers. Consequently, the demand for dishwashing jobs would decrease, though some would still remain. These remaining jobs would then be simplified. Instead of doing the actual washing by hand, human dishwashers would only have to load and unload dishes. While it’s easy to imagine other low-skill jobs dying out due to automation—as robots now have the ability to vacuum rooms, patrol buildings, and flip burgers (to name but a few tasks) —machines still aren’t replacing low-skilled jobs in cleaning, security, and food service.48 This49 is because although certain tasks may be automated, robots aren’t able to take over entire jobs. For example, while dishwashing machines do an excellent job washing dishes, humans are not completely replaced in the process, as machines don’t load or unload themselves. 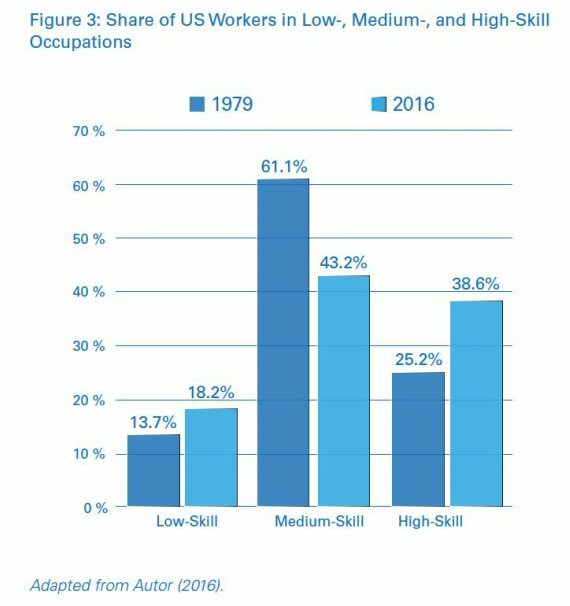 Humans still outperform machines, especially in jobs that involve manual skills and varying environments.50 Therefore, there still is (and will be) a demand for low-skill jobs. In fact, as we’ll see later, demand is actually increasing. The middle part of the spectrum is a little more complicated. Middle-skill jobs (which include blue-collar production and operative positions, as well as whitecollar clerical sales positions) are more likely to be codifiable. As a result, they’ve been disappearing, even though low-skill jobs haven’t. As a result, those who aren’t able to find employment could be facing two types of options—neither of which are good.62 On one hand, there is a set of available jobs that aren’t as rewarding or as satisfying as they were before, since they require fewer skills or offer lower wages. On the other hand, there is another set of jobs that could be more desirable, but these jobs are unattainable because they require a higher level of skill or education than the worker has achieved. It’s important to consider how technology has changed the labor market and the economy for the better for some, but for the worse for others. We should focus on finding solutions to the issues that have arisen (by ensuring job security, and supplying healthcare and retirement plans) while taking advantage of new opportunities (through new technologies, data and analytics, platforms, etc.) and remaining flexible as the times change. Stepping up: Let machines do your dirty work, so to speak, thereby allowing you to focus your time and energy on making big-picture insights (e.g., managing investment portfolios). Stepping aside: Use abstract skills, such as creativity or empathy, to do things that machines aren’t good at or to explain decisions that computers made (e.g., communicating negative news). Workers in an office building at night. Stepping narrowly: Do things that would be too costly to be automated, such as specializing in a very particular area of a field (e.g., specializing in the legal issues pertaining to malfunctioning garage doors, or in connecting buyers and sellers of Dunkin’ Donuts franchises). Stepping in: Use tech skills to improve machines’ decision-making abilities and to make sure that they function well (e.g., providing feedback to programmers by identifying bugs and suggesting modifications to be made). Stepping forward: Use tech skills and entrepreneurial thinking to create advanced cognitive technologies (e.g., becoming a machine learning engineer). The better that individuals and companies become at finding such complementary and “mutually empowering”67 relationships that augment human labor with machines (or vice versa), the more likely it is that employment growth and job quality will improve. With more fitting skills, there would more people employed in more satisfying and meaningful jobs. The fear that machines are taking over our jobs isn’t a new one, and Autor compares the situation today to when many jobs in the agriculture sector were becoming automated a hundred years ago.69 In 1900, farming used to make up 41% of the American workforce. A century later, the share decreased to just 2%.70 If Americans had been told a century ago that due to new technologies and innovation, farmers as a share of the workforce would fall by 95%, most would probably consider it to be frightening news. What are people going to do? How could they have possibly imagined that people would become social media managers, app developers, cloud computing specialists, information security analysts, drone operators, solar and wind energy technicians, genetic counselors, vloggers, yoga instructors, and sustainability managers? Likewise, how can we expect to understand exactly what can be done in a world that doesn’t yet exist with technologies that haven’t even been invented? Autor, D.H. (2014). Skills, education, and the rise of earnings inequality among the ‘other 99 percent’. Science, 344(6186):843-851. Autor, D.H. (2015). Why are there still so many jobs? The history and future of workplace automation. The Journal of Economic Perspectives, 29(3):3-30. Autor, D.H. (2016, September). Will automation take away all our jobs? [Video file]. Retrieved from http://www.ted.com/talks/david_autor_why_are_there_still_so_many_jobs. Bernstein, A., Raman., A. (2015). The great decoupling: An interview with Erik Brynjolfsson and Andrew McAfee. Harvard Business Review, 2015(5):66-74. Bresnahan, T.F., Brynjolfsson, E., Hitt, L.M. (2002). Information technology, workplace organization, and the demand for skilled labor: Firm-Level Evidence. The Quarterly Journal of Economics, 117(1):339-376. Brynjolfsson, E., McAfee, A. (2014). The Second Machine Age: Work, Progress, and Prosperity in a Time of Brilliant Technologies. (W.W. Norton&Company, New York). Brynjolfsson, E., Saunders, A. (2010). Wired for Innovation. (The MIT Press, Cambridge). Case, A., Deaton, A. (2017). Mortality and morbidity in the 21st century. BPEA Conference Drafts, March 23–24, 2017. Davenport, T.H. Kirby, J. (2015). Beyond automation. Harvard Business Review, 2015(5):58-65. Davenport, T.H., Kirby, J. (2016). Only Humans Need Apply: Winners and Losers in the Age of Smart Machines. (HarperBusiness). Gabor, D. (1963). Inventing the Future. (Secker&Warburg, London). Goos, M., Manning, A. (2003). Lousy and lovely jobs: The rising polarization of work in Britain. Center for Economic Performance Discussion Paper DP0604. Hicks, M.J., Devaraj, S. (2017). The myth and reality of manufacturing in America. Center for Business and Economic Research, Ball State University. Hollingsworth, A., Ruhm, C.J., Simon, K. (2017). Macroeconomic conditions and opioid abuse. NBER Working Paper No. 23192. Katz, L.F., Krueger, A.B. (2016). The rise and nature of alternative work arrangements in the United States, 1995-2015. Working Paper. Lipsey, R., Carlaw, K.I., Bekhar, C.T. (2005). Economic Transformations: General Purpose Technologies and Long Term Economic Growth. Oxford University Press. McAfee, A., Brynjolfsson, E. (2017). Machine, Platform, Crowd: Harnessing Our Digital Future. (W.W. Norton&Company, New York). McKinsey Global Institute. (2016). Independent work: Choice, necessity, and the gig economy. Retrieved from http://www.mckinsey.com/global-themes/employment-and-growth/independent-work-choice-necessity-and-the-gig-economy. Mulcahy, D. (2016a, October 20). Why I tell my MBA students to stop looking for a job and join the gig economy, Harvard Business Review. Retrieved from http://hbr.org/2016/10/why-i-tell-my-mba-students-to-stop-looking-for-a-job-and-join-the-gig-economy. Nordhaus, W.D. (2005). Schumpeterian profits and the alchemist fallacy. Yale Economic Applications and Policy Discussion Paper No. 6. Nordhaus, W.D. (2007). Two centuries of productivity growth in computing. The Journal of Economic History, 67(1):128-159. 1 See Brynjolfsson and McAfee (2014, p. 76). 2 See Brynjolfsson and McAfee (2014). 3 See Brynjolfsson and McAfee (2014). 5 See Brynjolfsson and McAfee (2014, pp. 49-50). 6 See McAfee and Brynjolfsson (2017, pp. 17-18). 10 See Council of Economic Advisers (2016, p. 58). 11 The only ways to increase output are by increasing inputs such as population (i.e., by increasing the number of hours worked given the same level of productivity) or through productivity growth (i.e., by increasing output per hour, or the amount of output given the same level of inputs) (Brynjolfsson and Saunders, 2010). 12 See Council of Economic Advisers (2007, pp. 47-48). 15 See Case and Deaton (2017) and Hollingsworth et al. (2017). 16 See Davenport and Kirby (2016) and Autor (2015). 17 See Davenport and Kirby (2016). 18 See Brynjolfsson and McAfee (2014). 20 See Autor (2015, p. 4). 21 See BLS Series LNS12300000, Employment-population ratio, 16 years and older. 28 See Traufetter (2009) and Thompson (2013). 35 See Brynjolfsson and McAfee (2014). 37 See Katz and Krueger (2016). 38 See Mulcahy (2016a, b). 40 OECD, Working Age Population: Aged 15-64: All Persons for the United States – Federal Reserve Bank of St. Louis, accessed at http://fred.stlouisfed.org/series/LFWA64TTUSM647S on August 20, 2017. 41 See McKinsey Global Institute (2016) and Mulcahy (2016a). 44 See Mulcahy (2016a) and Future Workplace and Field Nation (2016). 47 See Goos and Manning (2003). 49 See, for instance: DC security robot quits job by drowning itself in a fountain – The Verge, accessed at http://www.theverge.com/tldr/2017/7/17/15986042/dc-security-robot-k5-fallsinto-water on August 20, 2017. 51 Only about 13.4% of job losses in manufacturing have been a result of direct imports or import substitutions (Hicks and Devaraj, 2017). The rest have been due to the increased productivity brought about by automation (ibid). Indeed, even in China, factory workers such as in Foxconn have been replaced by machines (Davenport and Kirby, 2016). 56 See Davenport and Kirby (2016) and Autor (2015). 57 See Bresnahan, Brynjolfsson, and Hitt (2002) and Brynjolfsson and Saunders (2010). 58 See Autor (2015) and OECD (2017). 59 For a discussion on how job polarization has affected wages, see Autor (2015). 63 See Brynjolfsson and McAfee (2014). 64 See Autor (2015) and Davenport and Kirby (2016). 66 See Davenport and Kirby (2016). 68 See Brynjolfsson and McAfee (2014) and Davenport and Kirby (2016). 71 See Bernstein and Raman (2015). 73 See Brynjolfsson and McAfee (2014) and Davenport and Kirby (2016). Saunders, Adam. "Technology´s Impact on Growth and Employement." In The Age of Perplexity. Rethinking The World we knew. Madrid: BBVA, 2017.